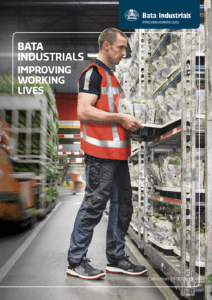 Looking for a Bata Industrials brochure for Europe?Looking for a Bata Industrials brochure for Europe? On this website you can browse and look around for all the safety shoes Bata Industrials Europe has to offer at this moment. If you would like a printable version of our catalogue, you can click the download button. Please consider the environment before printing. We have seperate websites aimed Dutch, German, Polish, Czech and Slovakian market. Please visit these websites to find the brochures in those languages.